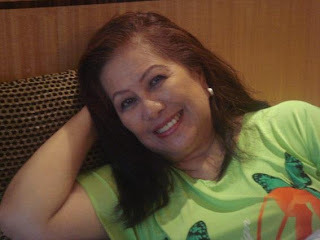 Comedian veteran actress Tiya Pusit was so in love with her boyfriend who was younger with her. She denied the allegedly wedding issue with her 27-year-old boyfriend. Tiya Pusit has 37-year age gap to her boyfriend. And she’s happy with her lover. Tiya Pusit said, “Dto po ako visayas for UNA campaign at regarding dis wedding issue, ito po ay hnd totoo,yes im having affair with ds 27yrs old guy pero hnd po yta ako nagbbalak mgpakasal,” according to ABS-CBN News site. According to report, she already met the family of her boyfriend and they are happy with their relationship. For the meantime, If you like this information, please bookmark it now or visit this site more often for you to be updated. You may also share this post to your friends so they may know about Tiya Pusit to marry 27-year-old boyfriend. Comments or suggestions about "Tiya Pusit denied the report of marrying 27-year-old boyfriend" is important to us, you may share it by using the comment box below.